Appliance manufacturers are jumping into the black stainless steel appliance trend with both feet. GE announced in 2018 that it would offer a wide array of black stainless steel appliances in both their everyday GE Appliance brand as well as their upscale GE Profile brand. Today, in 2019, they have fulfilled that promise! Black stainless steel appliances are also currently offered by LG, Samsung, KitchenAid, Frigidaire, Whirlpool and Bosch. Black stainless is by far the biggest trend the appliance industry has seen since the stainless steel trend began about 15 years ago. When purchasing black stainless steel appliances, it will probably be important to purchase all the appliances from the same manufacturer if you want an exact match. They are all sharp looking and fingerprint resistant but the finishes and hardware differ by brand. If you are interested in the pros and cons of black stainless steel in general, read our complete article here. In this article, we’ll take a close look at GE black stainless products, specifically their Profile line, to help you decide if they are right for you should you decide on black stainless. Here's a sneak peek of the beautiful new GE Profile black stainless steel from 2018. They have since released a full suite of appliances in black stainless steel. Check it out! As you can see, the new GE Profile black stainless line features a shiny black stainless steel finish with a matching handle. Some manufacturers like KitchenAid offer black stainless steel with a traditional stainless steel handle for contrast. This is a matter of preference. For those interested in connected or smart appliances, you'll also be excited to know that Profile is GE's primary connected line so you'll be able to use cool features like Alexa integration in the new black stainless steel models. This new appliance color shows great against white and or light gray cabinets which is the dominant trend in kitchen design at the moment. Black stainless steel is also better at hiding fingerprints than regular stainless steel by nature. The only downside to black stainless that we can think of is that it is still an untested color. It is possible that the color could be discontinued in a few years, leaving consumers seeking single replacement products out of luck. This seems less and less likely now as more brands are showing overwhelming support for black stainless steel. 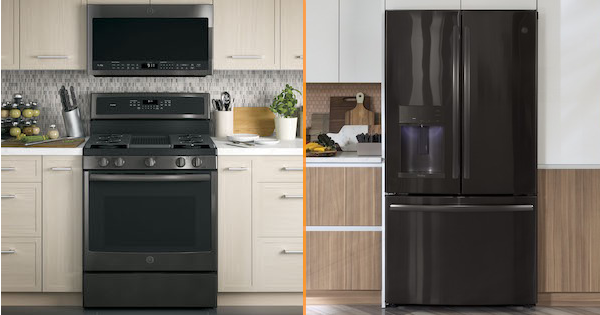 If you aren't sure about black stainless steel, read our article about the new GE Black Slate and LG Black Matte, both high-end black matte finishes that offer an alternative to the shiny nature of black stainless. GE Black Stainless Steel appliances create a whole new look for the kitchen that is soft, elegant and different. They are exceptionally beautiful products and a great alternative to regular stainless or black appliances. Once you see them you will probably fall in love with the look! Black stainless steel has a long way to go to catch up with the popularity of traditional stainless steel, but it is on its way as more products are being introduced in the color and more customers are seeing it on display in stores and in friends' and family member’s homes. There is no way to be sure, but my opinion is that black stainless steel is here to stay. These new models are just rolling out in stores as this article is being written so check with your local retailer for availability. The lines will be fully rolled out in the coming months. 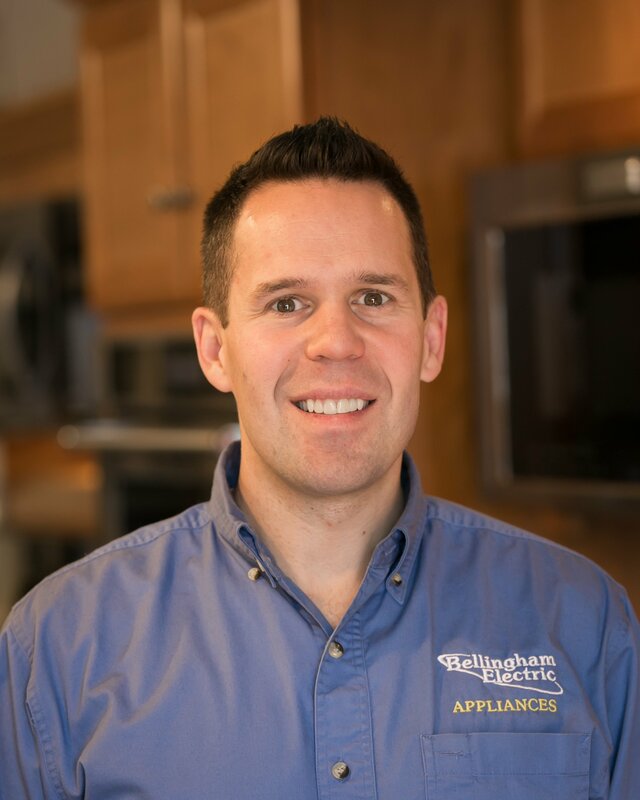 They are really a game changing item in the appliance industry. Even if you are not ready to buy yet, you might want to see them in person and experience the look. We hope you enjoyed reading about the new GE Black Stainless Steel line. We encourage you to write a comment below. We value your input! Editor's Note: This blog was originally written in January of 2018 and has been completely revamped and updated for accuracy as of the publication date noted above.